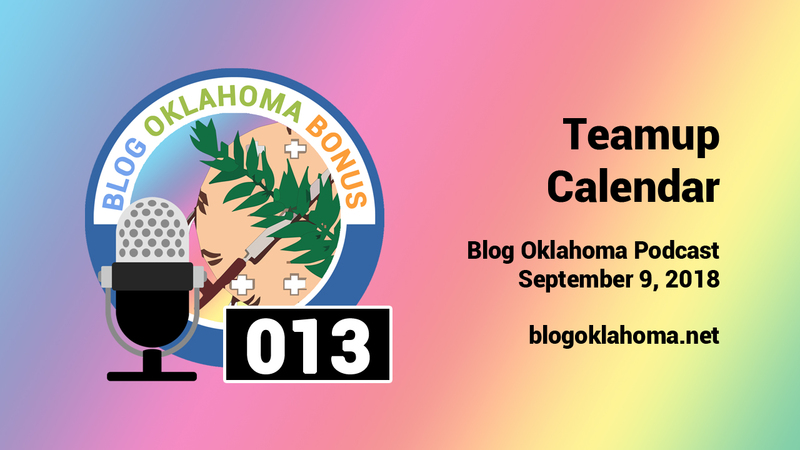 09/10/2018 11:27 AM — September 9, 2018 - Blog Oklahoma Bonus Episode - Teamup Calendar, the shared calendar for groups. 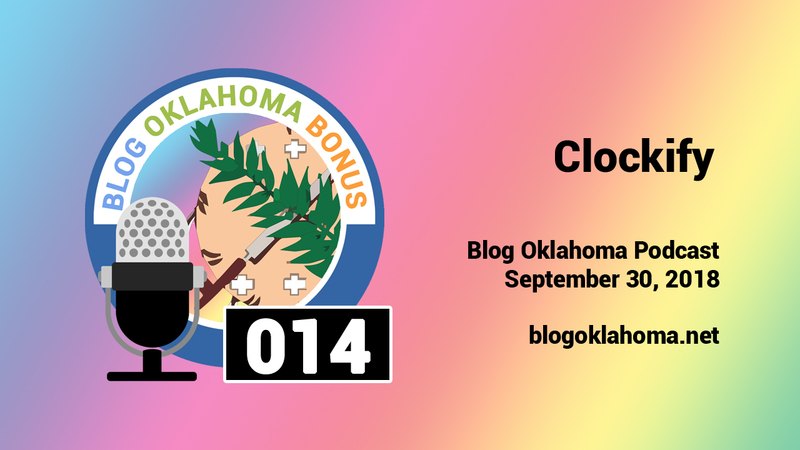 - Welcome to Blog Oklahoma. 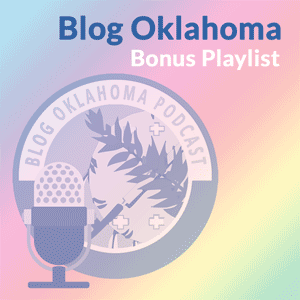 04/28/2016 09:28 AM — I’ve added even more great music to the Blog Oklahoma Bonus playlist. There is now over 8 hours of music for you to enjoy. 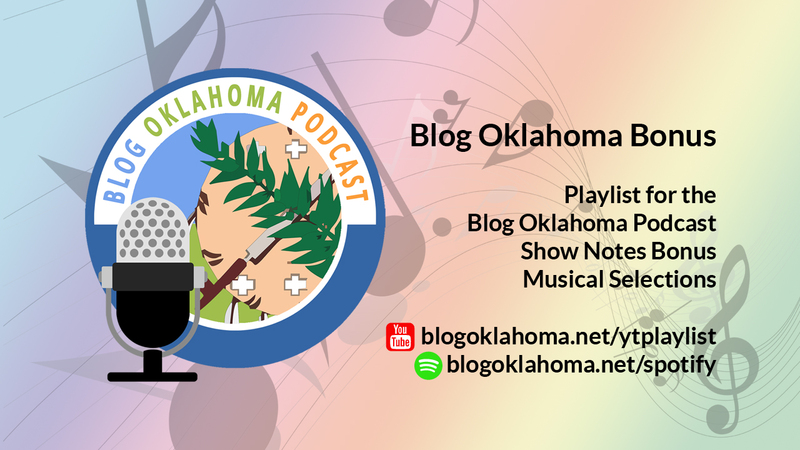 You can listen to the playlist on Spotify and on YouTube.